Growing up, my dad always would say that on march the first, the crow builds his nest. As such, the beginning of march heralds the beginning of spring for me. I can't help but feel excited that we can finally say spring is here and the long, dark and wintery days are coming to a close. It's so nice to be able to escape out of the house in some (slightly) lighter layers instead of our usual obligatory bundles of coats, hats and scarfs! Whilst I shall definitely be keeping our woolies at close hand for the next few weeks, below is proof that spring and summer are in fact, just around the corner! I haven't done a fashion post in ages but I have been really enjoying this combination lately and thought I would share it with you. I always loved pairing blouses with jeans- it's definitely in no way 'reinventing the wheel' to say so, but it just works to quickly and easily glam up an outfit with minimal effort- now that is what I am all about! I'm a huge fan of long cardigans as they are so flattering and help to accentuate height whilst shaving off the natural line of your hips. For me, they are pretty much a 'go to' for those occasions when I just want to feel confident in what i'm wearing and not worry about my mama curves showing up. However, these slingback heels are probably my favourite element of this entire outfit. The navy colour just pops and brings a bit of vibrance and fun to the whole look. I actually can't wait to wear these in summer, perhaps with a white knee length dress or classic jeans and white tee combo! Either way, I can see myself living in these over the coming months! My red leather bag was a Christmas present and I have worn it almost every day since then! The leather has such a lovely, berry tone to it. Surprisingly, I find it easy enough to pair with a lot of different outfits without it clashing. It's a beautiful bag for winter but in recent weeks I have been thinking how perfect it will be as an accessory to step into spring with. After all, this is the time of year when we yearn for a bit of colour and vibrance, isn't it?! Thank you for nominating me! Spring with View Quest & An Easter Competition! 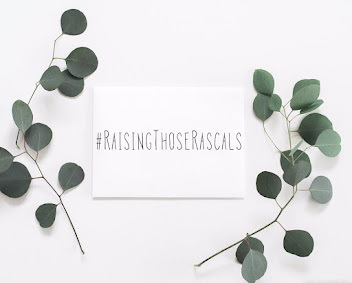 Raising Those Rascals & falling behind! What I eat for breakfast!